Hawk vs Arrow. Hawkeye and his "protege" Hawkeye (Kate Bishop) vs Green Arrow and Arsenal. Who. Will. Win?. HD Wallpaper and background images in the Marvel Comics VS. DC Comics club. 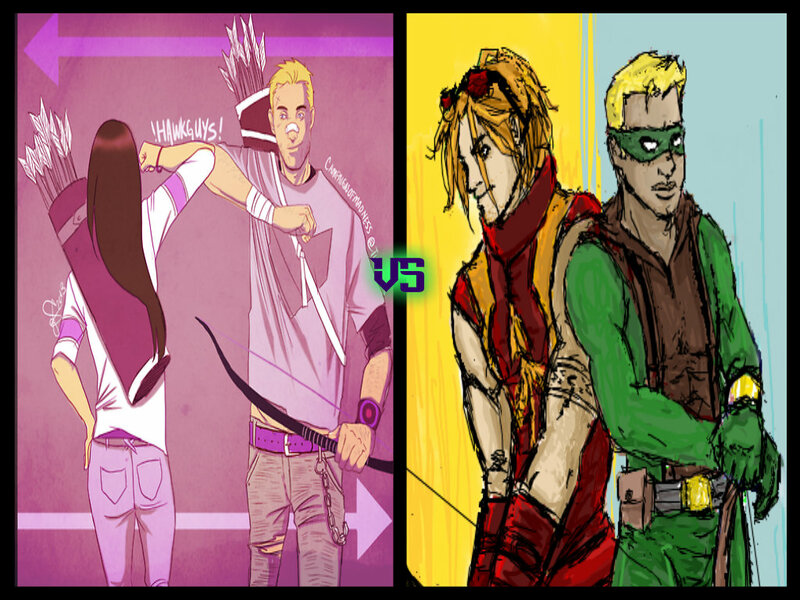 Hawkeye and his "protege" Hawkeye (Kate Bishop) vs Green Arrow and Arsenal. Who. Will. Win? This Marvel Comics VS. DC Comics fan art contains anime, bande dessinée, manga, and dessin animé. There might also be vitrail.